Some areas in Osaka just have more ramen shops than others. 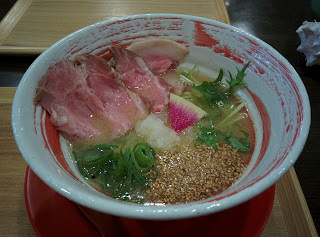 This time I made my first trip to Nishi Kujo by bike to go to Tai Dashi Ramen Kotone. Kotone specializes in ramen made from sea bream. 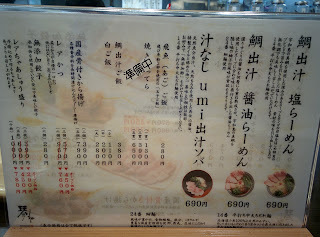 They offered shio, shoyu, and soupless abura soba, and I went with the shio. The shio broth was light and cloudy. 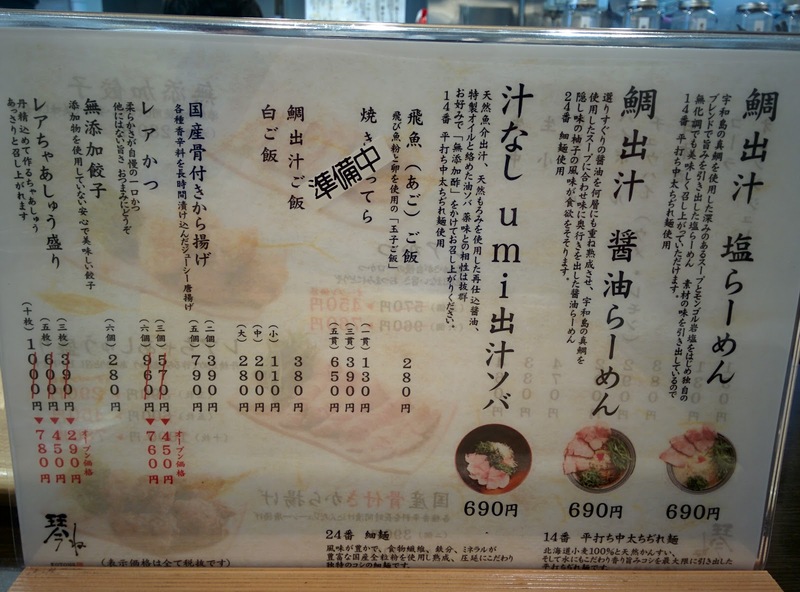 It contained a delicate amount of sea bream, not overpowering like in a lot of shrimp ramen. The semi-clear flat noodles had just a bit of bounce, and were very slightly curly. The rare chashu, too, was just a bit chewy, and the parts that were seasoned brought out the flavor of the pork. Mixing in the sesame and green onions gave the bowl's flavors a refreshing makeover midway through the meal. Maybe, if I'm in the area again. 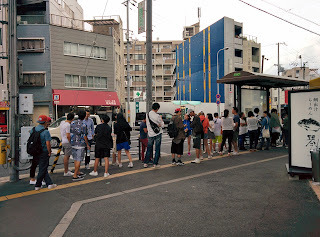 Also nearby, people were waiting at a bus stop to go to an Avicii concert.